Pet relocation is often so stressful that pet owners frequently feel more anxious about their animals than they do about themselves. After all, we humans can care for ourselves, ask for directions, or file complaints, but we don’t know what our pets are going through “down in the cargo bay” or how they’ll be treated upon arrival. Much of this anxiety about pet travel can be laid to rest by preparing far in advance. Pet shipping can be complex and requires you be well informed and plan in advance! Thankfully, there are now more and more pet movers and transportation companies available and as time goes by, their experience adds up to less stress for you! We’ve done some of the legwork for you too. The following are websites of expert pet relocation companies. Most offer much more than mere pet transport services. Their websites are full of information on how to plan your trip, how keep your pet healthy during transport, what to pack when traveling with pets, how to find out what documentation and vaccinations you will need, and much more. Even though you will eventually choose only one pet shipping specialist, it’s truly worthwhile to visit all of the websites below as each offers very useful information to help you prepare. Headquartered in Austin, TX, PetRelocation.com offers full-service arrangements for the domestic and international transportation of live animals, with a strong emphasis on assisting companies with relocating employees who are pet owners. The PetRelocation.com mission focuses on creating the most comfortable, safe and stress-free environment possible for each pet transportation and exotic animal transport experience. 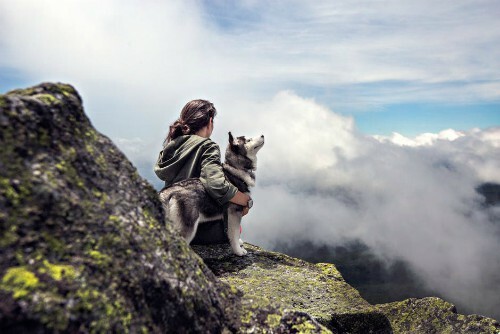 PetTravelCenter.com is an online community that provides worldwide resources for pet-friendly hotels, attractions, destinations, RV parks, dog parks, campgrounds, airline pet policies, pet travel tips, veterinarians, emergency pet hospitals, and a wide variety of pet travel products through its online pet store. DogTravel Company, launched in 2007, is the first full service travel club for dog lovers who want to travel with their dogs! Members enjoy a variety of benefits, including access to dog-friendly, in-cabin, crateless flights, train service and cruises for dogs of all sizes. This company is ONLY for traveling with DOGS. However, they custom arrange ANY TRIP to ANY DESTINATION in the world for pets and their owners to travel together. Animals Away has been shipping animals, and providing pet transport services worldwide since 1995. At Animals Away, all of our pet shipping services are provided by our industry leading team of professionals who have over 50 years of combined industry expertise in dog shipping and pet shipping door to door worldwide. Animals Away is a member of IPATA, and holds a USDA handlers license. With offices on 5 continents, Animal Land Pet Movers specializes in coordinating pet relocation services to anywhere in world. Animal Land, Inc. was established in 1998 and has been successfully transporting pets ever since. Whether it is internationally (our specialty) or domestically, no job is too big or too small. We are licensed by the USDA as intermediate animal handlers. We are members of IPATA, the Independant Pet and Animal Transportation Association and strictly comply with all rules and regulations of the Animal Welfare Act. Airborne Animals LLC is dedicated to safe pet moving you can rely on our professional pet transportation services of your household pets. Our pet transportation services are by ground or by air and include relocating small pets (such as rabbits, ferrets and turtles), dogs, cats, and birds by commercial airlines’ cargo services both domestically and internationally, and by road within the Northeast of America. Pet Air Carrier, LLC provides door-to-door pet shipping and air travel services for dogs, cats and other animals. We specialize in International pet transportation and ship to over 85 countries. Our pet travel service includes airline reservations, shipping permits and documentation required for animal shipment to foreign countries such as Australia, New Zealand, Japan, Singapore & South Africa. IPATA Members and USDA approved, we make pet relocation & ground transportation as safe and worry free as possible! Pacific Pet Transport has over 15 years of experience shipping animals all over the world. Our experience comes from being in the field, physically handling the animals and dealing with the airlines and government agencies on a daily basis. When we aren’t reuniting families we are busy trying to stay current with the ever changing export/import regulations of 196 different countries. Being in Los Angeles has given us the opportunity to establish a wide variety of clientele that includes zoos, aquariums, celebrities, production companies, studios, professional athletes, major corporations and individual families. Working with these people has also allowed us to ship everything from a Sumatran rhino, to Egyptian black banded cobras, to adult African lions. Since our founding in 1978, the professionals at Jet-A-Pet have been dedicated to the care and comfort of animals. One call to 888-JET-A-PET is all it takes to arrange safe and comfortable transport of your pet to anywhere in the world. With everything you have to worry about when moving, we will give you the peace of mind that you no longer have to worry about the details regarding relocating your furry friends. Jet-A-Pet will happily take the responsibility to safely and comfortably transport your pets. Simply stated, Cosmopolitan Canine Carriers is in the business of relocating household pets. We have successfully relocated the pets of tens of thousands of families door to door worldwide since 1972. Our entire staff of experienced pet relocation professionals is dedicated to providing you and your pets with the highest level of service possible. We are a certified Indirect Air Carrier with the Transportation Security Administration. We are registered as a class H intemediate handler with the U.S. Department of Agriculture. We are an accredited business and we have an A+ rating with the Better Business Bureau. We are one of the original pet relocation companies that helped establish the entire industry. Air Animal has great relationships with our clients and airline carriers around the globe. Our family-owned pet relocation service was founded in 1977 in Tampa, Florida, by Dr. Walter Woolf, a licensed veterinarian. We have grown into one of the most comprehensive and well-respected pet shipping companies in the U.S. As an IATA air cargo agency endorsed and appointed by more than 225 airlines, Air Animal is your top choice for moving your pet. We set the bar for corporate relocation pet move standards and received the 2014 Impact Award from CARTUS corporate relocation as a result. The Independent Pet and Animal Transportation Association International, Inc. (IPATA) An international network of concerned pet shippers, the collective membership of IPATA represents many years of experience in the transportation and care of animals. IPATA's membership has grown from six U.S. pet shippers to over 280 offices in over 60 countries with services to all major airports worldwide. IPATA members are registered with the applicable organizations within their own country and adhere to the rules and regulations of the Live Animals Regulations of the International Air Transport Association (IATA). All U.S. Active IPATA members are registered with the U.S. Department of Agriculture (USDA) and adhere to the rules and regulations of the USDA's Animal Welfare Act. On this page of their website you can search for an IPATA member pet shippers. Please be advised that BoliviaBella.com does not recommend or endorse any single pet relocation company. This page is provided for informative purposes only. Some of the information on this page is quoted textually from the above websites.